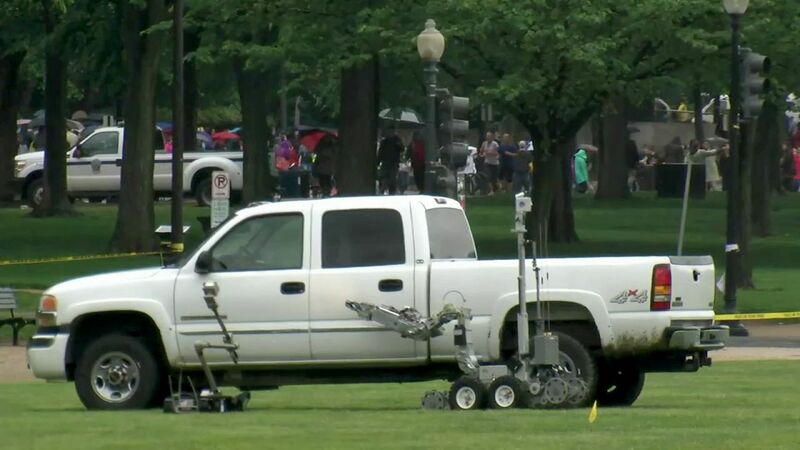 WASHINGTON (WABC) -- Officials in Washington D.C. are investigating after a man drove his pickup truck onto the National Mall and claimed he had something dangerous inside Tuesday. Police and firefighters have been called to the scene at 3rd St and Madison Dr NW. The man claimed to have anthrax, law enforcement sources told ABC News. Although initial field tests for the substance were negative. According to police, the man said he was exposed to anthrax at a farm in Virginia. He collected some of the substance and brought it to the National Mall. "He sent either an email or a latter indicating he thought he was exposed to anthrax. When he drove onto the mall, passersby saw it and it was called in by several people," said Sgt Anna Rose with the United States Park Police. Authorities are interviewing the suspect and clearing the scene of any other potential hazards. Police have blocked off the area around the incident and are asking the public to stay away from the area. Keep checking abc7NY for the latest information.